Is breakfast time always a little bit crazy in your house? It is here. On an average school morning, you’ll find me cajoling my 6 year old into getting out of bed on time to get dressed and eat a bit of breakfast before running out the door to school. It can be stressful for everyone. As a nutrition and health coach, I know that breakfast really is the most important meal of the day and a time when we can pack in some healthy food and set up good habits for the rest of the day for our kids. So over the past year, I’ve tried something new. I’ve made breakfast a priority and have tried to prep as much in advance for the big occasion. Our mornings have transitioned from cereal and milk to smoothies, egg muffins or sprouted grain bread and almond butter and I can see the difference it makes in my kids’ energy levels and mood. Even though we don’t have much time in the morning to sit down and eat breakfast before dashing out the door, I try to make sure that they have some good quality protein and nutrients in them before they start their busy days. These scrambled egg muffins make the perfect breakfast or afternoon snack and are a great way to add extra veggies into your kids’ diet. The vegetables in the recipe are just a suggestion. You could also add cherry tomatoes, zucchini, mushrooms and kale. Saute onions, peppers and spinach in olive or coconut oil until soft. 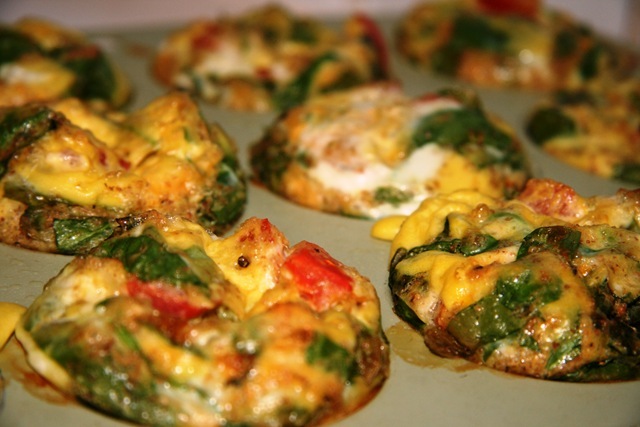 Combine onion, bell peppers, spinach, cheese and eggs in a bowl, mixing well. Add a pinch of salt and pepper. Spray muffin pan with cooking spray or line with muffin liners. Fill each muffin cup approximately ⅔ of the way full. Bake for 20 minutes or until set and golden on top. I’ve become know as the Smoothie Queen in our neighborhood! We just love smoothies in our house. I mix high quality protein powder with an assortment of veggies and fruit for breakfast to set up the day properly. 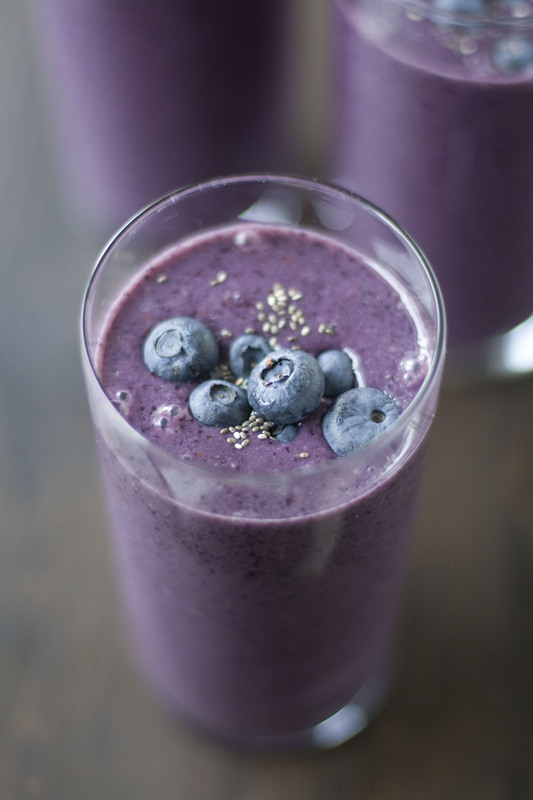 These smoothies are low glycemic and will give your little ones lots of energy for the whole day. Blend and enjoy. Top with extra blueberries for decoration. Sprouted grain bread or gluten free bread with almond or sesame nut butter. We love the sprouted Ezekiel breads or Rudy’s gluten free. My kids have been raised on these breads and love the taste. Make sure you buy sugar free raw nut butters too. Hopefully these have given you some different ideas for breakfast for your family. What’s your favorite healthy breakfast?